Want your home to match your lifestyle? Terry didn’t just appear fully formed one day - as a business we have evolved into what we are. Started in the late 1800’s by Thomas McDonagh, Terry and Ross’s grandfather, this family run firm was known as a designer and manufacturer of good quality, but compared to today, highly traditional furniture for the UK and Irish markets. We design and manufacture bespoke furniture and create interesting interiors for both residential and commercial fit outs. However, upon entry to the new millennium, we discovered that our competition was no longer anyone we knew or had met at trade shows, it was the millions of people on the other side of the world who could do what we could at a fraction of the price. We had to change and so in 2008, Terry Design was born. Playing to our strengths of designing, crafting, making and finishing to extremely high standards, Terry is now home to the McDonagh brothers and a very talented group of people who have helped us more than make our mark on the local and international design and architecture scene. For the last 12 years, Robert Gilmour Architects have been creating bespoke homes, materialising their clients’ dreams and turning them into a reality. Offering turnkey design & build solutions from conception to completion, we provide everything you need from initial planning, design work and planning approval, all the way through to the project management of your build. We're a small, family run firm and enjoy the close contact this allows us with each client. There’s no need to deal with multiple contractors and suppliers: with a professional network we know we can always rely on, we take care of this for you. We don't want you to be boxed in by a certain style, as we always believe that your design should be specific to you. In our initial meeting, we will ask questions about the way you live and most importantly, the way you want to live. Next, we will develop proposals to best meet your requirements, balancing influential elements such as space, light, planning constraints and eco-friendly construction techniques. What designs do you have in mind? Contact Robert and let us take care of the rest. Kudos specialises in building bespoke homes with a Timber Frame core. We work on levels with our clients as follows: 1. Manufacture and install the Timber Frame core. 2. Supply the Timber Frame core complete with insulation and airtightness 3. Full build including design to turnkey. Welcome to Wilsonsyard.com - home of reclaimed, vintage and designer products Wilsons Conservation Building Products (wilsonsyard.com) are widely recognised as one of the United Kingdom and Ireland’s premier architectural salvage and design businesses. Family run and in our fourth decade of doing business. We supply a multitude of quality, individual, spectacular products and market throughout the world.. We hope that you enjoy perusing our website and our eclectic range of products. We are one of the UK and Ireland’s most respected designer-led commercial interior and shop fit-out companies. Our HQ, design studio and workshop are in Newtownabbey N. Ireland, a few minutes from Belfast with offices serving Dublin and London.Our core team has exceptional talent and a wealth of experience in shop fitting and bespoke interior fit-out. Our in-house designers and specialist shop fitting joiners are experts in this area, enabling our exceptional delivery and quality control throughout the entire project: concept, design, manufacture and installation.We have built a strong reputation by focusing our attention on quality and excellent customer care on every job. We take pride in every aspect of every project we undertake, large or small, with continued successful repeat business our motivation and objective. We provide shipping container solutions and conversions for domestic and commercial purposes. A design and build company does pretty much what it says on the tin – designs and builds your home; helping you design your own house from scratch, pick out the small details and actually bring your dream home to life. They will take on the responsibility of planning the project, drawing up the designs, costing, sourcing the building materials and supplies, building the structure, installing any permanent features and possibly advising on the interior design of your home; all while consulting you every step of the way. 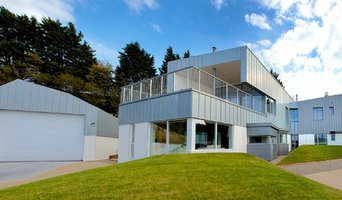 A design and build company in Belfast, Antrim will usually employ in-house architects to handle all of the technical design aspects of your renovation or build, whether that’s to design a house or just a kitchen, and will also have main contractors or project managers that will oversee the construction work. The project managers will either work with external building contractors or construction companies, or the design and build company may employ their own builders to carry out the construction work. Either way, all the work is managed by one company and so this means communication is easier and the work is more streamlined. You’ll probably have just one design and build contract, making responsibility simpler and clearer, and also reducing costs for you. However, you should always check this design and build contract closely to see exactly what the firm is agreeing to take responsibility for, so that you don’t get left in the cold at any point. 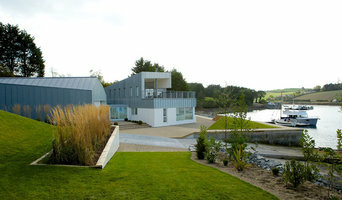 You don’t have to build your own home to hire a Belfast, Antrim design and build firm. 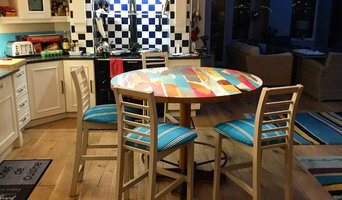 If you are renovating one or a few rooms of a house, a design and build company in Belfast, Antrim can still help you – they can design a kitchen, bathroom, bedroom or living room and then complete all of the renovation work for you. This could be a really good option if you are selling your home and want to increase its value quickly – hire a design and build firm in Belfast, Antrim to redesign and renovate a few rooms of your house without the hassle of dealing with various professionals or the time-consuming effort of doing it yourself. If all of this sounds ideal, then start searching for design and build procurement companies in Belfast, Antrim that can design a house, or room, for you and discuss design and build contracts with you. If you want to look for more specialised contractors, designers, architects or builders to help you renovate or build your own home, then you can still find them on Houzz. Here are some related professionals and vendors to complement the work of design & build: Interior Designers, Landscape Architects & Garden Designers, Architects & Building Designers, Photographers. How long have you been an established design and build company in Belfast, Antrim? Find a design and build company on Houzz. Narrow your search in the Professionals section of the website to Belfast, Antrim design and build contractors. You could also look through Belfast, Antrim photos to find a project you like, then contact the design and build company in Belfast, Antrim that created it.